Growing old is an unavoidable part of life. Every human has to undergo the phase of old age. In technically advanced global environment, there are numerous cosmetic procedures and treatments including surgery to help retain the young glow externally. But internally, people are susceptible to major health issues. In order to maintain good health and look dashing, there are some healthy foods that can enhance their skin and slow down the process of aging. According to medical experts, wrinkles form when human skin breaks down. To erase these wrinkles, people need to boost their collagen levels and not by rubbing with creams. Medical specialists always recommend that elderly group must eat nutritious and healthy diet to prevent wrinkles and remain active. There are some best antiaging foods that elderly group must give young look and become strong. Amino acids: Amino acids are basis of collagen and elastin, which are both energetic to healthy skin. A diet high in essential amino acids helps keep skin firm and elastic, while a deficiency makes it thin and dry. Meat and eggs are best sources for essential amino acids. -Avocados: Avocados is an important ingredient in the beauty industry.It is largely used in lotions, creams, soaps and supplements as it has exceptionalanti-aging properties. This comprises of mono unsaturated fats, potassium, vitamin E and antioxidants. These minerals and vitamins enhance the skin. -Whole grain: Elderly people must use whole grain meals. The fibres present in whole grains are essentialfor proper digestion. This solves gastro intestinal problems that are commonly present in old age. A well-functioning digestive system is imperative to help get rid of the unwanted toxins from the body that mayget reflected on skin.Whole grains contain abundantly of anti-aging ingredients that help revitalise the skin.Whole grains are rich in fibre such as oats, quinoa, barley, wheat, and brown rice lowers the chance of developing type-2 diabetes. -Potassium-rich foods: People can also get skin-hydrating potassium from fruits and veggies, nuts, meat, poultry and fish. -Nuts: Nuts are rich in minerals and protein that is highly beneficial for enhancing skin. They help in cell regeneration. They also help improve heart health and provide energy. -Fermented foods: Good gut bacteria help keep human body well supplied with the nutrients to skin. To improve gut health, it is recommended toeat fermented foods like kimchee and sauerkraut. It is important to buy refrigerated brands, which contain large amounts of live bacteria. -Dairy products: The calcium and fortified vitamin D in dairy foods are vital to strong bones. They help prevent osteoporosis, for instance. Therefore elderly people must include 3 cups of low-fat milk, yogurt, or other dairy products in their diet. By choosing low-fat instead of regular dairy, they will help keep their cholesterol levels in check. This will lessen the chances of heart disease. -Garlic: Garlic is very important for people of all ages. It has excellent anti-aging properties. Garlic provides cell protection, enhances blood flow and improves the production of hydrogen sulphide which enables the body and the skin to function well. 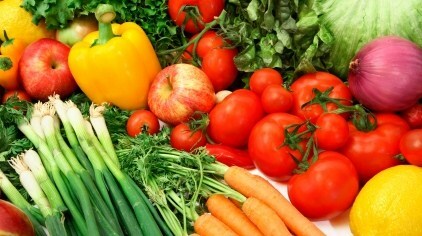 -Vegetables and fruits: Vegetables and fruits are also good for people to maintain health and make skin glow. These are rich in minerals, vitamins and antioxidants that make for great anti-aging ingredients.The antioxidants in colourful vegetables and fruits like leafy greens, deep red tomatoes, blueberries, and carrots, help stop unbalanced molecules from damaging healthy cells. So at each meal, People who take plenty of fruits and vegetables, can fight with the harmful UV rays. These food items slow down the aging process. For example, Reddish-orange foods like tomato and watermelon, which are rich in beta-carotene and lycopene, increase protection against harmful UV rays from the inside out. Both vitamins settle into skin's outer layer, where their antioxidant action helps repair cells damaged by sunlight. Kiwi is the strong antioxidant compounds firm the skin and delay the formation of fine lines and wrinkles. This is mostly due to their high Vitamin C and E content which helps reduce skin damage due to free radicals. Pomegranate is a rich source of riboflavin, phosphorus and other vitamins and minerals that makes healthy skin by increasing its collagen. Collagen gives the skin its firmness and elasticity. Other foods like, apple, grapes, banana also helps in enhancing skin. -Beans: Beans is also wonderfulanti-aging agent. They have the ability to fight off a host of illnesses and diseases. Phytoceramides: Phytoceramides are a naturally occurring component of skin and aid to keep it hydrated. It is found in beets and spinach, they offer similar benefits. Currently, the FDA approved phytoceramides in nutritional supplement form based on research showing that they can help heal dry, rough, wrinkle-prone skin. Wrinkle-fighting foods protect human skin in a various ways. Some of them hydrate skin, some build strong cell walls, some guard against sun damage, while others protect against free radicals. These foods often work together, enhancing each other's power. -Green tea: Green tea contains catechins, which is one of the best known compounds to aid prevent sun damage such as hyper pigmentation.It also comprises polyphenols that help fight off free radicals and prevent aging. -Olive oil: The oil is good for skin as it contains 'good fats'. Italso enhance circulation making the skin appear fresh and supple. In nutshell, people who are entering in their greying phase must take extra care and must aware of food habits that prevent aging. It is not only to look smarter but also to gain internal strength. 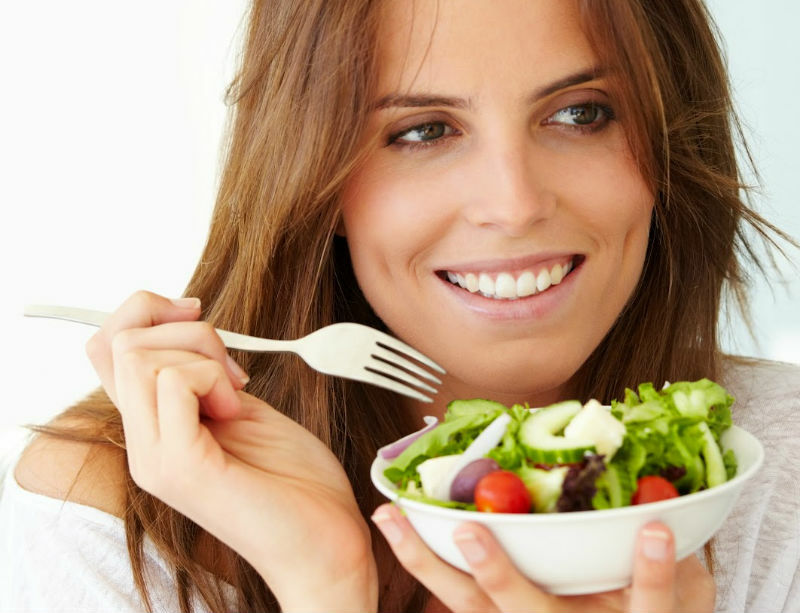 It is suggested to eat above foods regularly in order to possess a healthy skin.